GardeningWalks: Dining al fresco ~ I love the informal folding chairs, along.. Dining al fresco ~ I love the informal folding chairs, along.. 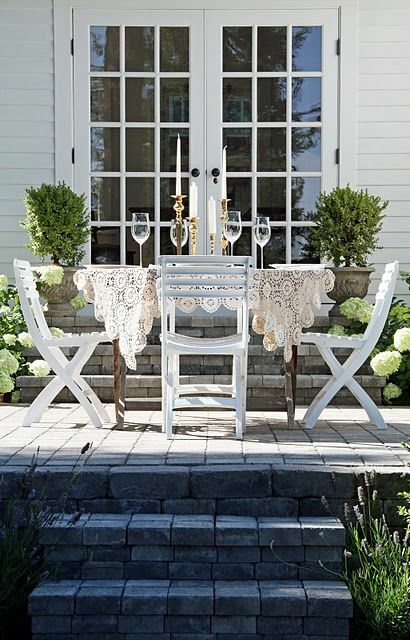 Dining al fresco ~ I love the informal folding chairs, along with the lace tablecloth,candles and wine goblets.